I was at a workshop last week, about article level metrics. It was in San Francisco, and I was hoping I might have some time to check out the new location of the Exploratorium, but my schedule was too packed, and it wasn’t worth paying the entrance fee for just an hour or so of museum time. 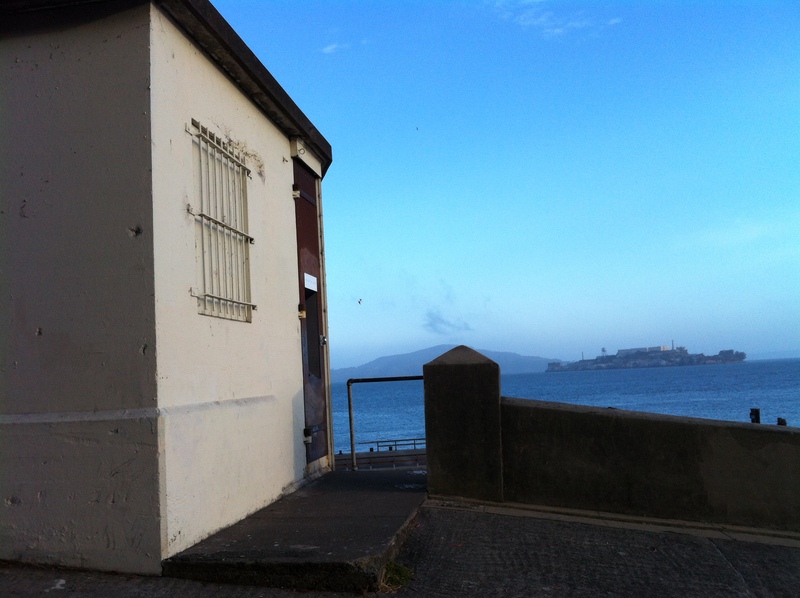 Luckily, the workshop itself was at a nice location, at Fort Mason – an area of warehouses converted to art studios and the like. The walk from the hotel to the venue went past Ghirardelli square and had a nice view of Alcatraz. There were people walking dogs along the water, there were little boats moored at the docks, and there was a strange little house called “House of Days”. I know an art project when I see one, so I walked up to the pee-scented doorway to take a closer look. It was an Exploratorium exhibit! 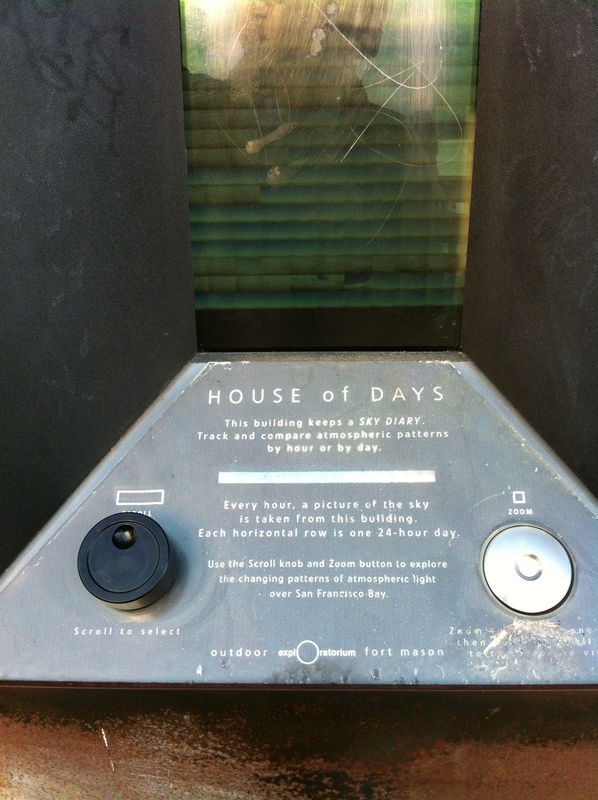 House of Days shows pictures taken of the San Francisco coast at different times of day over the past weeks to illustrate how the view changes over time. I had no idea there were any Exploratorium things outside the Exploratorium itself, so this was really exciting, and I took several pictures. 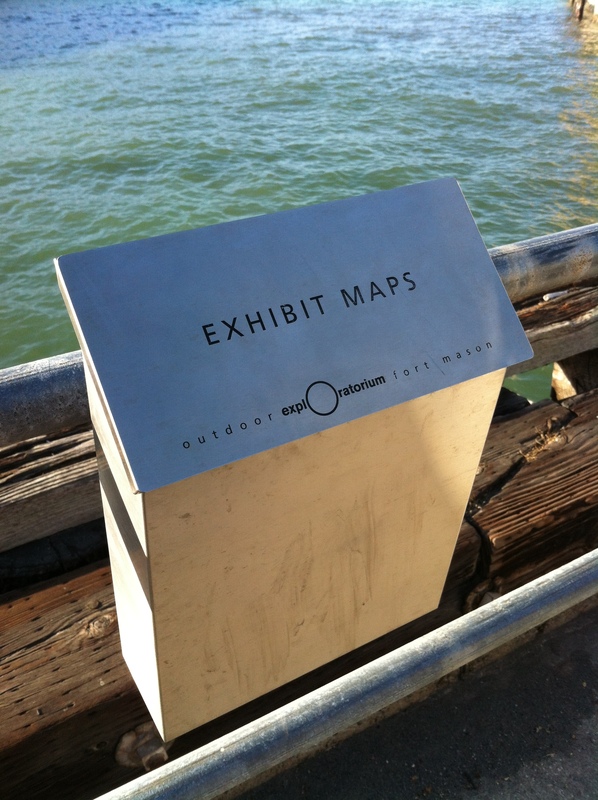 As I got closer to the workshop venue, I found another Exploratorium exhibit. 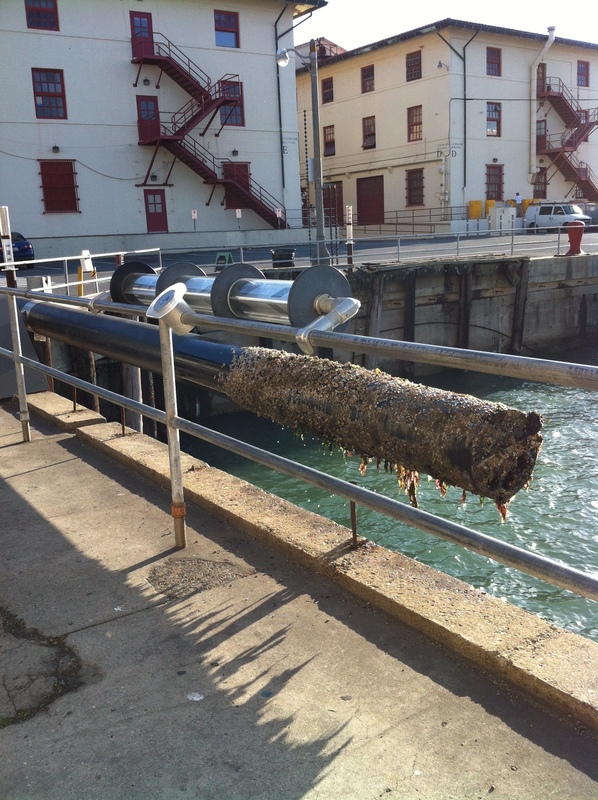 Fort Mason has thirteen Exploratorium exhibits that are all tied into the location: from the view over the water to looking at cracks in the parking lot or rust in the walls of the old buildings. 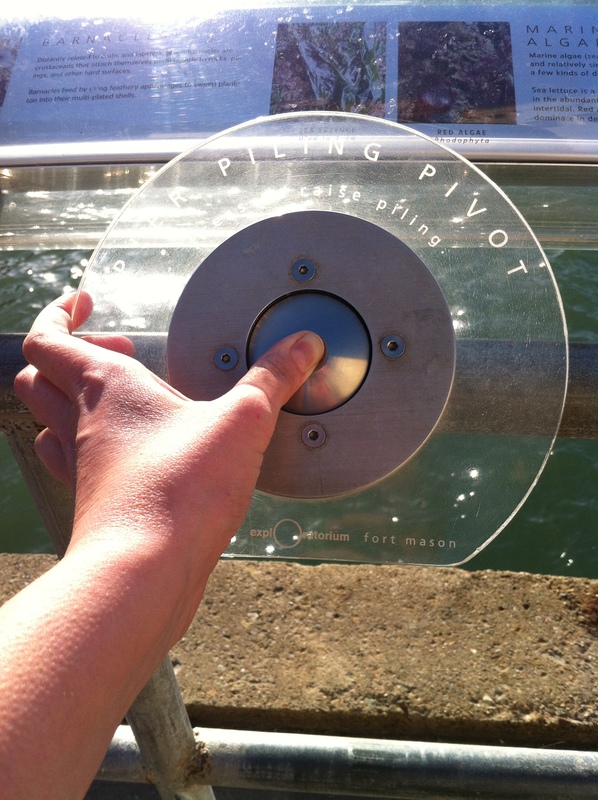 My favourite was the “pier piling pivot”. With the push of a small button you could lift a piling out of the water to reveal the algae and shells that grow on it. 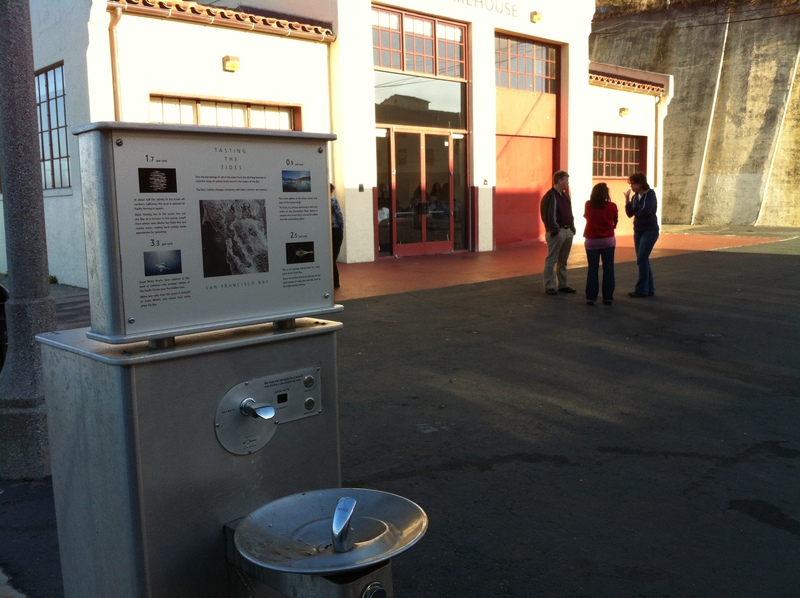 The exhibits were very unintrusive, and most people at the workshop didn’t even notice that there was one directly outside the venue: What looked like just a drinking fountain was in fact an exhibit about the saltiness of sea water. I wasn’t expecting to be able to even see any Exploratorium exhibits at all on this trip, so this was a nice surprise! That piling exhibit is an awesome idea! I was in San Francisco earlier this year and missed the Exploratorium, but did come across some staff members on the waterfront explaining some simple Science concepts to kids. Things like a ‘volcano in a bottle’, it really expands the idea of a static ‘museum’. Great to hear people notice! Tell all your friends…the exhibits are subtle to be sure. 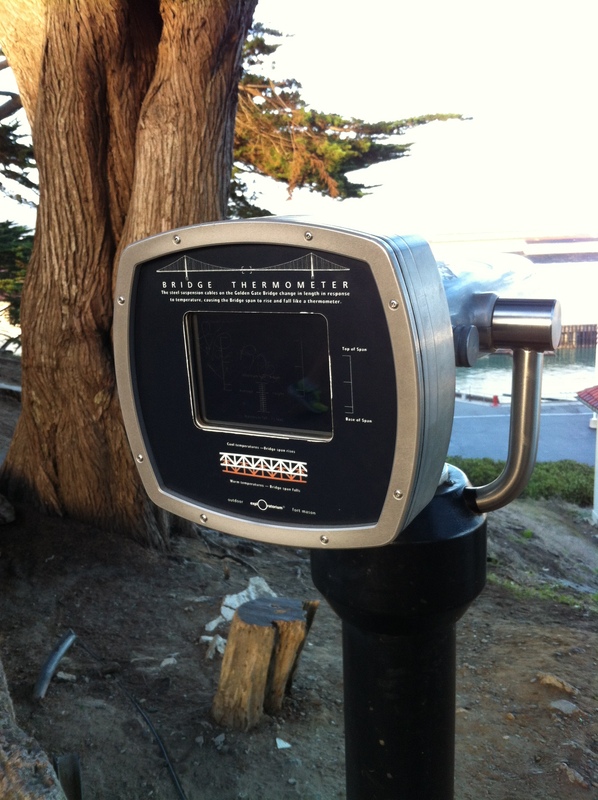 That’s because they’re meant to highlight phenomena of the environment around Ft. Mason, not to compete with them.